As you’ll see below in our massive list of clamps, there are different types of clamps for every project imaginable. If you do particular projects or are doing any sort of renovation in your home or elsewhere check out our list to see which clamps you need. In a nutshell clamps are very helpful whenever gluing or you need two or more items held together while you attach, assemble or do something with them. Since you only have two hands, you might as well let clamps do the work freeing you to get the task done. Clamps are inexpensive given the huge help they can be. These are incredibly versatile and very widely used. When most people think of a clamp, this is what they picture in their minds. It is used to either clamp two pieces of a project together or to hold a workpiece to the table. The openings in the jaw can range from around one inch to more than eight inches, making it very easy to find one that will fit the needs of your project. The screw section generally can clamp onto irregular surfaces because of its swivel head. These clamps are also sometimes called “toolmaker’s clamps” and are generally used when working on metalwork. They’re great for repairing furniture as the jaws can be adjusted to easily fit onto and hold angled material in place. They are generally all steel in construction, making them very hardy and long-lasting, although there are some companies that are making them now in wooden versions as well. This clamp is used when working on large projects such as table tops, doors, cabinets, or sash windows. Generally, more than one has to be used at a time to ensure that there is a strong grip on the project. They have a long flat bar that is very heavy and a fixed jaw attached to it. You can adjust this fixed jaw with a screw. Additionally, they have a sliding jaw that can be moved along the length of the clamp and then locked into position to hold the materials in place. They’re great for clamping together large projects and allowing the glue to dry tight. They are a longer, more specialized form of the bar clamp. Also sometimes called a gluing clamp, these clamps are very similar to a sash clamp but instead of the longer piece of metal being a flat bar, it is a round shaft. The length of the clamp is determined by how long the length of the pipe is and you can easily lengthen them by adding more tube to the clamp. This makes them very versatile and easy to use. After the initial investment, they are easy and inexpensive to lengthen, making them a great purchase for the DIYer on a budget. The jaw of the clamp is adjustable and can be easily moved from its position. Any project is placed against the jaw and then the clamp is slowly tightened to ensure that it is held tightly and securely. These are very common clamps and have a number of uses. They come in all different sizes and can be used to clamp together woodworking projects or hold onto wire for beading and jewelry projects. The handles generally have PVC covers that ensure that you won’t injure your skin working with them and they often have removable PVC covers on the tips as well. 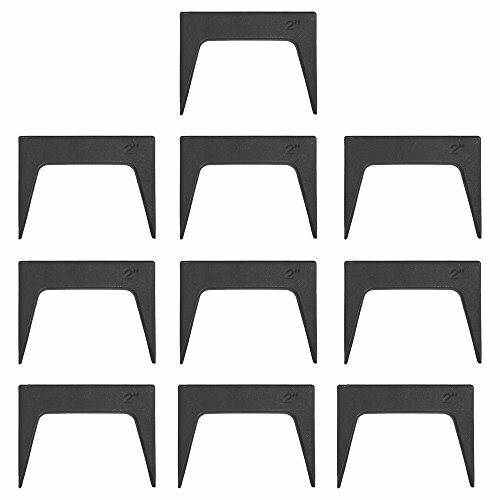 If you remove these, then you can easily use these clips for soldering. The tension spring makes it harder to open these clamps and ensures that once they are shut, they will hold the item tightly. These are clamps that are designed to hold an item onto a bench. The bench actually forms the fixed jaw of the clamp. They can be used to make furniture or perform carpentry and welding. There are many styles available and they are generally fairly inexpensive. These clamps are great for working on frames. They have nylon bands that will gently yet securely wrap around the object you’re working on and tighten using a ratchet. This holds the object in place but the nylon ensures that it is not damaged. They can be used without corner gripping pieces or with them so that all of the pressure of the clamp is distributed evenly and there is no worry about damage to the piece. These pieces actually have a parallel as well as a fixed jaw that can both be easily adjusted using a screw. Some bench vises are portable and can be screwed or clamped onto a workbench, making it easy to take your project with you to another location. If you use a vise, then you don’t have to worry about the piece that you are working on moving or shifting while you are sanding, drilling, or sawing it. These clamps will hold two pieces that have mitred ends together at a right angle. They generally have screws that fit underneath the frame that they are holding in place with a bit that will clamp down onto the frame. 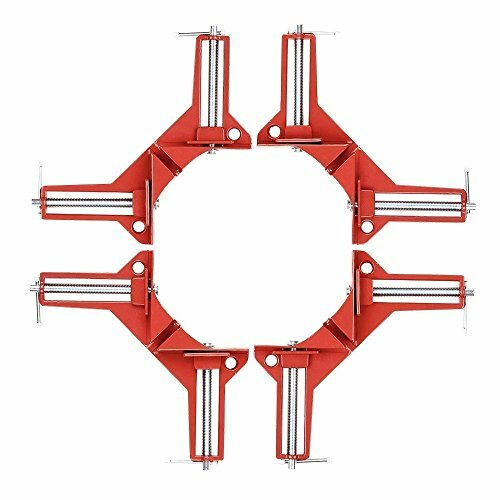 While there are more complicated mitre clamps with rigid bodies and movable jaws, even the more basic type of this clamp will be able to quickly and easily get the job done when used correctly. These clamps can easily be operated by just one hand, making them powerful and strong but easy to use without a lot of hassle. They generally have a release that is light enough for the user to pull it with just one finger. 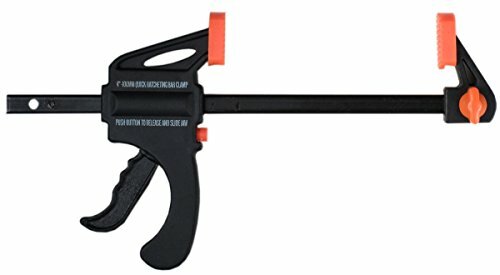 Many people associate this type of clamp with a sealant gun since they are made with a similar design. These clamps allow the user to quickly grip the project or item using just one hand. They offer adjustable pressure, making them ideal for a number of applications. It’s important to note that since the jaws do not close squarely to each other, t these types of clamps are best suited for thinner materials or pieces as they will not do as good of a job holding thicker items together. Power clamps offer a lot of power and force in one swift movement. They are incredibly strong although they are surprisingly light and easy to use. These clamps use a trigger to adjust the head and the jaws of the clamp and can easily be operated using just one hand. They are very strong and incredibly versatile. While many clamps are only used in the workshop, these can be used inside the home and the garden as well. These clamps are designed specifically to hold materials and boards to the drill press table, which allows users to make a very accurate and clean cut each time they use their machinery. They generally come with an easy way to adjust the tension of the clamp and a quick release that makes them very easy to not only put onto the material you are working on but also to release them. They make it very safe and precise when using your drill press. Similar to a power clamp, these clamps are very strong and offer a lot of stability but the main difference is in how they are operated. Unlike power clamps that can open and close in one swift motion, these clamps have a thread and handle that needs to be screwed. The thread is specially designed to speed up the process as much as possible but the action still takes a bit longer. This is a long metal bar that has a number of serrations on it that will hold the adjustable head in place when it has been moved tightly against the project or item. As the user clamps down the head of the clamp, that pressure will cause the serrations to lock and keep the sliding head secure so that it does not slip while in use. While bar clamps come in varying lengths, they are typically quite long, allowing the users to work on larger projects without worrying about the stability of the items they are working on. With the flat surface of the bar, it’s easy to place the project on it and then use the head of the clamp to slide up and hold the project tight. They come in a variety of styles and different variations but basic bar clamps are necessary for most large projects. Cardellini clamps have jaws that are used to clamp onto tubing. Because of their style, they can be used on square, round, or even rectangular tubing without any problem. They can also be used to clamp flat options, to grip equipment, or even to mount lights for a theater. Although all clamps can be easily damaged if they are tightened too much, these clamps are very susceptible to this because of their design and the way that the edges of the jaws will actually press against each other when the clamp is being used. This means that the user needs to be particularly careful when tightening and adjusting this type of clamp. These clamps are fairly single purpose and are used when a carpenter is installing floor. They help to hold tongue and groove boards in place so that they can be nailed down securely and won’t move during this time. They can generally clamp down up to 10 boards at a time and have to be used in conjunction with other flooring clamps or they will not work. This is a very simple clamp that is used to help when building a clinker boat. They work by holding the strake when it is being fitted and attached so that they will not slip. Because of their single purpose, they are more difficult to find in stores than other clamps tend to be. These clamps are multipurpose and combine the benefits of both parallel and C clamps. They can adjust easily to surfaces that aren’t parallel, thanks to their free-floating jaws, and won’t shift from the center when you apply pressure to the jaw. They are very easy to use and to get a lot of movement in your clamp. These clamps have a handle that is used to control the clamp, a bar that will hold on to the piece you’re working on, and levers and pins that will increase the force. They hold objects tightly and ensure that they can’t move or separate when you apply inward pressure. They can be used in milling, woodworking, metalworking, and even drilling. This is a smaller clamp that is shaped similarly to a stable and used to straddle joints. They work by pulling the joint together and holding it in position while it is drying after being glued. These are small, common clamps that are used on hangers to allow the person to clip his or her clothes to the hanger instead of draping or folding them over the rod. They operate with very little force and can be opened and closed easily with just a few fingers. Outside of clothes hangers, they can also be used as bag clips to tightly close up an open bag of chips. 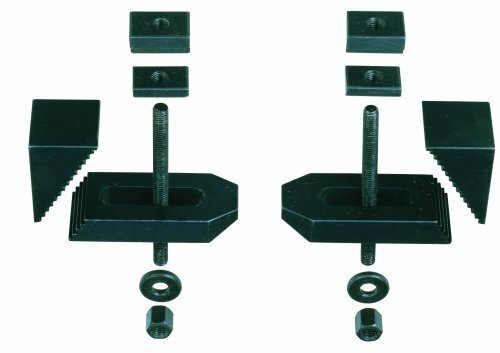 Step clamps are used together with step blocks when you are working with metal and milling or machining parts. While a mitre clamp can hold two mitred pieces of material together, this type of clamp is used to hold together four pieces to form a picture frame. The mitred edges of the frame all fit neatly together and are held in place by the clamp. There are many different designs that you can find and buy. 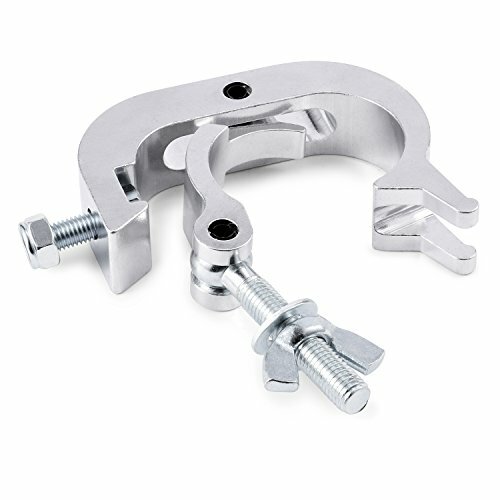 One of the most popular designs has a central screw that is used to adjust the clamp and the pieces of the frame. These clamps are also known as clips and are used to help to fix a loose end of a wire rope loop to the rope itself. It has two nuts, a saddle, and a u-shaped bolt that work together. Because of the limited application of this type of clamp, they are not ones that you will be able to easily find in most stores and may need to be special ordered to ensure that you have the right size and kind for your use. These are very strong band clamps that make it possible to quickly and easily clamp together two cylinders. They are ring clamps that come in many different sizes and strengths, depending on what kind of use you need from your clamp. They are perfect when you need to be able to quickly disconnect the two items that you have clamped together. This makes them ideal for operations such as in flexible aircraft fuel lines. These clamps are generally used for circumcision. They are beneficial because they are very easy to use, do not have any parts that have to be assembled prior to use, and result in very little scarring. While they are a medical clamp, they can be used by non-physicians who are working in settings with very limited resources. Because they can be used more than once, it’s imperative that they are correctly sanitized to prevent the spread of disease. This is a surgical clamps that has a round eyelet at the end. It is also commonly called the sponge stick or a sponge clamp and is great for grasping both sponges and lung tissue during surgery. They can be used with a sponge to carefully remove fluid that has collected in the area of the operation as well as to apply pressure to bleeding. Sometimes they are used for tissue dissection. Non-medically, they are often used for piercings. 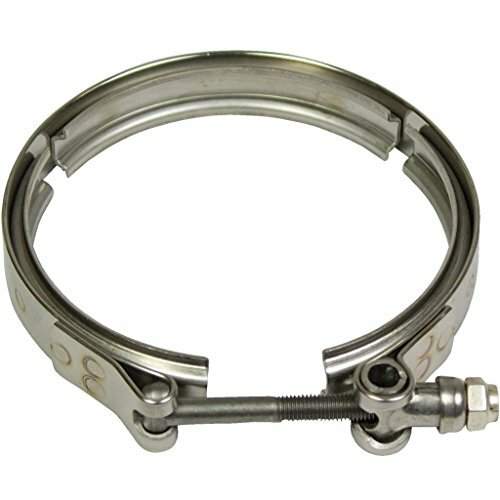 This clamp is also called a Duval clamp and has a triangular eyelet. It’s great for grasping and holding onto tissue during surgery. They are commonly used during rectal and intestinal surgeries. There are many common names for this clamp including pean, arterial forceps, and hemostat. They are used to control bleeding and are common in all types of surgery. Due to the strength at which they clamp shut, they do a great job closing vessels and keeping them from bleeding before they ligation. The tip can either be straight or curved and they close due to a locking mechanism that is in the handle. 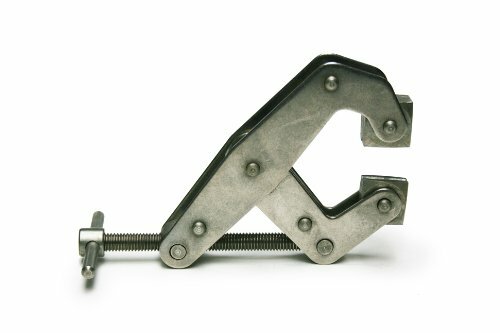 This mechanism has teeth that interlock and allow the user to easily adjust the strength of the clamp. While metal jaws are incredibly strong and will ensure that your clamp won’t slip or accidentally let go of the project that you are working on, if you are working with a softer or more delicate substance, then you won’t want it to be damaged by the metal of the jaws. In this case, you are much better off selecting clamps with plastic jaws as they are just as strong but won’t damage the project that you’re working on. When you are going to be using your clamp in a place where it may get wet, then you will want to make sure that you won’t have any problems with rust. The best way to do that is to buy a clamp that is rust-resistant. These clamps are very heavy-duty and have been built to last so that you don’t need to be worried about them becoming damaged and many different kinds of clamps are available with this feature. Clamps that have steel handles are very easy to use and incredibly strong. You won’t ever have to worry about the handle breaking, no matter how hard to push on them, and they won’t ever be damaged by something landing on them by accident. Steel handles ensure that your clamps are the strongest ones available and are great for most any application. If you are going to be working outside and want to decrease the chance of your handle becoming damaged or cracking due to the weather, then steel handles are the best choice. Plastic handles, while not nearly as sturdy as steel handles are, are still a great option for many types of clamps. They can last for a very long time as long if you take care of them but too much stress on the clamp can cause the handle to actually break. In addition, these clamps aren’t a great choice for use in extreme temperatures as changes in the temperature can cause the plastic to stress and to crack. While the whole handle of the clamp won’t be rubber, buying a clamp that does have rubber parts on the handle ensures that they are not only very comfortable to use but also that the clamp will not slip out of your hand when you’re operating it. When clamps do slip, it can be very dangerous so it’s best to buy one that has anti-slip handles if you are concerned about losing control of the clamp or being injured with it. These clamps can easily be operated with just one hand and the rubber ensures that you will have full control.